Calaveras County Administrative Officer leaving??? On October 4, 2016 the Calaveras Supervisors meet in Closed Session at 8 AM to discuss replacing Shirley Ryan, County Administrative Officer. The three tea party types on the Board, and especially Chair Bully Edson, have not been kind to Ms. Ryan. They seem to pick on her over and over again over nothng. We aren't sure if she is retiring or quitting. October 2, 2016: CalFire is reminding everyone in Calaveras and Tuolumne counties that regardless of the forecast for rain, burning is still suspended. October 2, 2016 at 3 PM: A motorcycle was apparently hit and then the vehicle left the scene on Hwy 99 near French Camp Road outside Stockton. The rider is on the pavement. An ambulance is en route to the scene. October 2, 2016 at 2:55 PM: A collision at Rams Horn Grade and Shake Ridge Court in Volcano is blocking the roadway. No injuries have been reported, but use caution if headed that way as it's on a curve. October 2, 2016 at 2:50 PM: A two car collision has been reported on Hwy 49 near Poverty Gulch Court in Mokelumne Hill. No injuries have been indicated. CHP is at the scene. Be careful if in the area. On October 1, 2016 Calaveras Sheriff's deputies arrested Terri Lynn Gilbert (51) at her residence on Olsen Avenue in Burson. October 2, 2016 at 12:15 PM: A car rolled off the edge of Hwy 120 new New Priest Grade in Jamestown and landed on its roof 400' down the grade. The injured person was pinned in and did not survive the collision. A tow truck is en route. One way traffic on Hwy 120. Avoid the area until clear if possible. On October 1, 2016 Angels Camp Police arrested Christian Theodore Benge (24) at his residence on South Main Street. Benge was booked into the Calaveras County Jail for alleged False Imprisonment with the Threat of Violence, a felony and for Battery on a Spouse, ex-spouse or Date and Exhibiting a Deadly Weapon not a Firearm, both misdemeanors. October 2, 2016 at 12 Noon: A pickup has reportedly overturned on Mountain Ranch Road near Michel Road outside San Andreas. No injuries have been indicated, but the roadway was blocked. A tow truck is en route. Be careful if headed that way. On Friday, November 11, 2016 a public auction sale will be held by www.bid4assets.com beginning at 8 AM and ending November 14, 2016 between 12 Noon and 1 PM. Properties are sold as is, and you can only bid online. SierraSentinel.com to publish legal notices-County newspaper of record???? Due to the problems created by the CAO of Calaveras County in continuing to provide the legal notices and advertisements to the newspaper no longer the Calaveras County paper of record, the SierraSentinel.com will also be publishing notices. Letter to the Editor: Concentration Camps??? The LA Dodgers are in San Francisco today to play the Giants, who are in 2nd place in the National League West. This is October, so playoff will begin soon for baseball lovers. 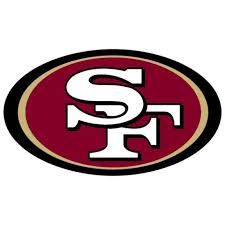 The 49ers play the Cowboys at home in Levi stadium today, October 2, 2016. The game is at 1 PM on FOX. The Niners are 1-2 for the season so far.